As you may have noticed, there are now advertisements on The Daily WTF. Well, technically, I've been running ads here since October of 2004… but I just realized that I never bothered announcing it. So, there you have it dear readers: I have officially sold out. Normally, the Sell Out announcement goes something like this. I really hate ads. I know you do, too. But my blog takes soooo much time and cost sooo much money, I have no choice but to put up ads. Besides, everyone else is doing it. So technically, it’s them selling out, not me. Please don’t hate me. While I did consider taking that approach, I came to realize something else: I really don’t hate advertising. And neither do most of you. We just hate obnoxious advertising. Yes, that’s an X-Mas ad in the middle of June. And one for Pokemon cursors. Seriously. Pokemon cursors. 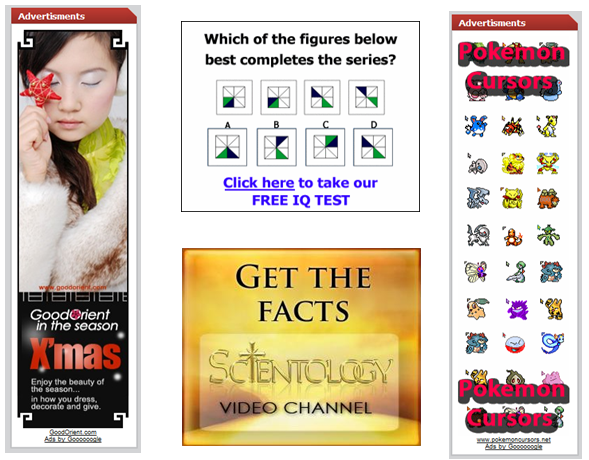 Then there’s the IQ test ad that doesn’t even have a correct answer, and finally, one that I’m sure none of you missed: the “Get The Facts” campaign for Scientology. 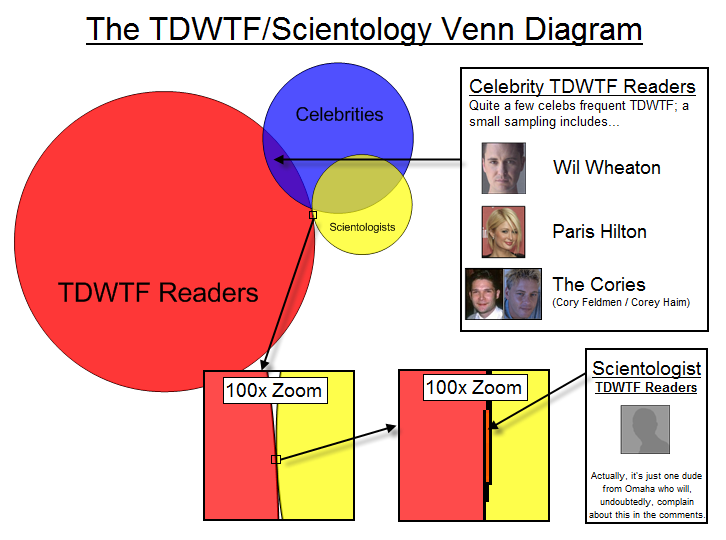 Clearly, the Scientology – and the Pokemon, and so many others – are a bad fit for TDWTF. After seeing this, I knew it was time for a slightly different approach. Better Sponsors - Every banner ad you’ll see is from a company that I personally talked to or approved, and has products/services that I know many of you are interested in: development tools, web hosting, irishgirl, etc. Text-Only Google Ads - When there's no hand-picked banner ads to display, I'll fill in the gap with text-only ads from Google. While that means that we'll still see things like “Industrial-Strength Steel String”, their algorithm may occasionally pick out a cool product or service. You Disable AdBlock - Okay, wishful thinking. But look at this way: there are some pretty cool sponsors lined up and I might able to actually upgrade from the Quick Meal. I’m also very interested in what you think. If there’s a company you’d like to see advertise or think your fellow readers would appreciate, send me a link or post a comment. The banners are served and hosted internally*; obviously the Google AdSense ones are from Google. 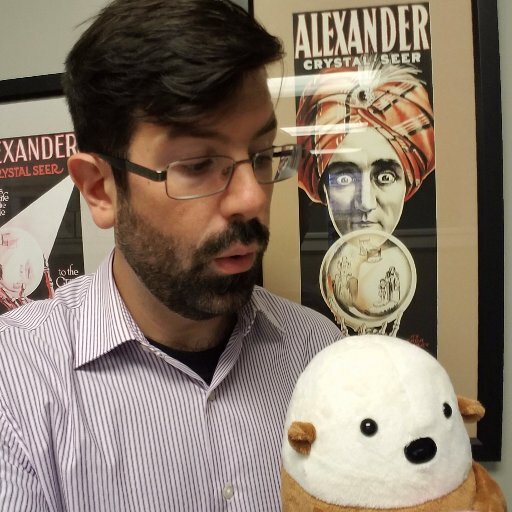 The TechSmith ads in the "Sponsored By" section are from the BlogAds network; however, BlogAds will only run for three more days, and then it's all direct (aside from the text-ads)! Normally you're right, but sometimes she gets the URL wrong, and wonders why the stories are rather (more/less*) boring than expected.